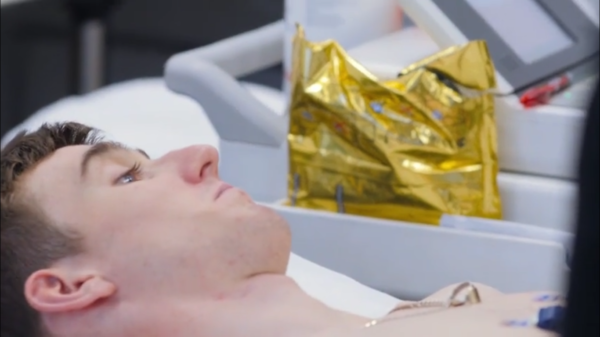 Irish cyclist Eddie Dunbar has been through the human performance lab with Team Sky. And his new employers’ cameras followed him for the day. 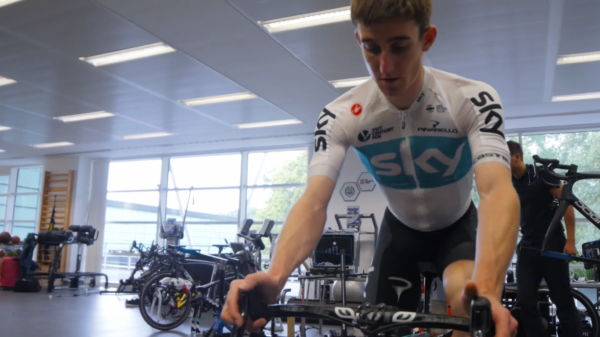 Eddie Dunbar may be into the off-season now, but the Team Sky machine he is part of never really stops moving. Winter time may mean down time away from the intensity of the race scene, but thoughts have already turned to next year. And with Team Sky, there’s a constant search to do things better and cater for the riders in the best way possible. So Irish rider Dunbar is continuing the process of bedding in. He’s getting to know the team and their personnel are getting acquainted with their new Irish climber. He’s been to St George’s Park, a world-class training centre owned by the English FA. 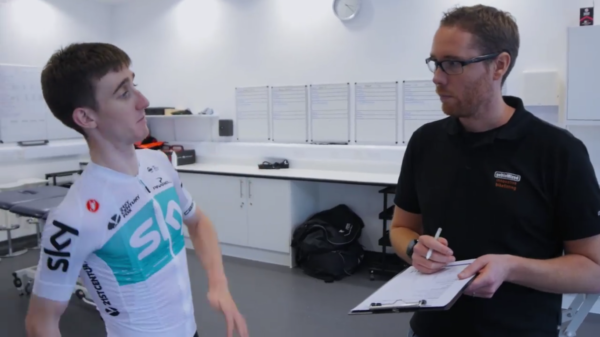 Team Sky ran their human performance lab at the centre of excellence, with the team’s cameras following young Dunbar. The piece below follows him around for the day and features an interview with the WorldTour outfit’s newest recruit. Dunbar (22) says joining the squad, unexpectedly, late in the 2018 campaign has been a great way to get his feet under the table before next year. 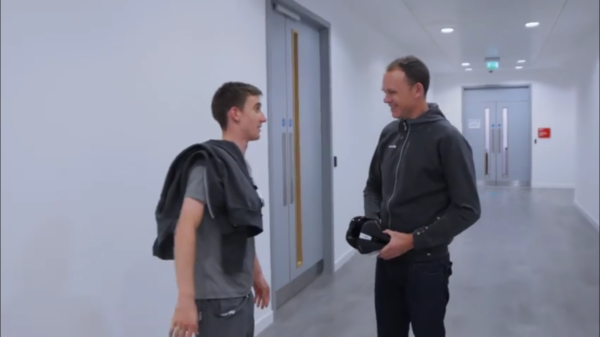 And he also says that during the 2019 season, one of his big goals is to ride a Grand Tour. Furthermore, he says he’d take any chances that may come his way. It’s a nice little film and well worth a look.